Pink explosions of color on the small to medium-sized fast-growing Mimosa Tree await the savvy gardener! 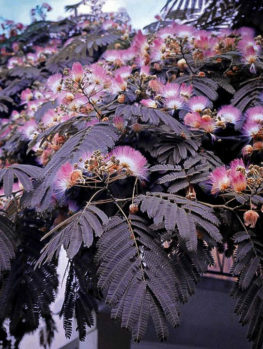 The Mimosa Tree is a beautiful ornamental, fully capable of being considered an accent tree. 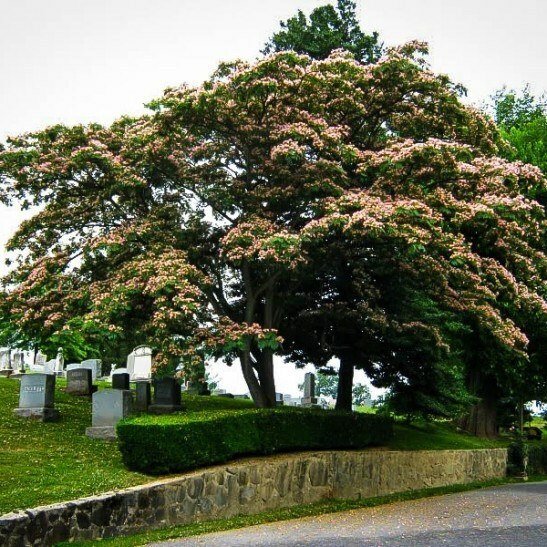 Summer will be a pure delight, for the Mimosa Tree displays the most unique and vibrant pink blooms. Butterflies, bees, and hummingbirds will flock to these flowers, which show off bright, tight clusters of pink to yellow-tipped stamens. Somewhat reminiscent of silk threads, the Mimosa Tree is sometimes called the “silk tree”. 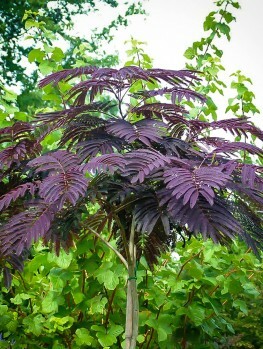 The leaves of the tree are also eye-catching, reminding viewers of a cross between a fern or palm. The 20-odd pairs of leaflets contrast with the density of the flowers to create a tropical texture perfect for the garden ornamental. The Mimosa Tree is a beautiful ornamental tree. Tropical ambience is a sapling away, as the Mimosa Tree’s beautiful flowers and palm-like leaves display themselves in summer. 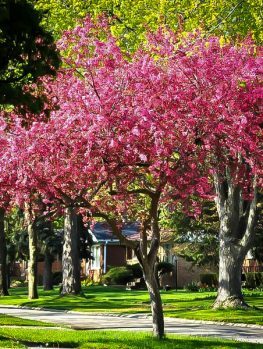 From June to July, perfectly crafted vibrant pink flowers invade the tree. These flowers, composed of densely-packed pink to yellow tipped stamens, attract the eye and behold the senses. Paired with the bipinnate leaf structure, which features fern or palm-like leaflets, the Mimosa Tree is a vast display of texture and detail. Plant this gem as a central focal point in the yard! The fast-growth of the Mimosa Tree will also astound you. Expect great growth, even later in the tree’s life. 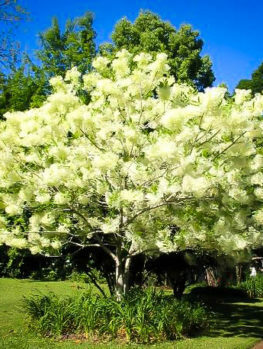 The Mimosa Tree, which does not branch heavily in the early stages of development, will quickly offer you the color, ambience, and vigor your garden needs. The Mimosa Tree has a fast growth rate of between 2 and 5 feet a year. 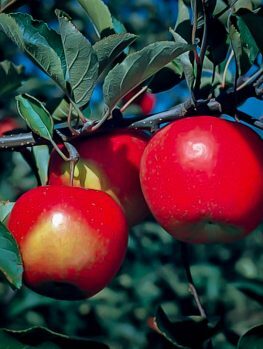 The growth rate for this ornamental varies significantly based on planting, pruning, watering, and fertilizer applications. Cautious pruning, heavy watering, and appropriate fertilizer applications can increase the growth rate of the Mimosa Tree. 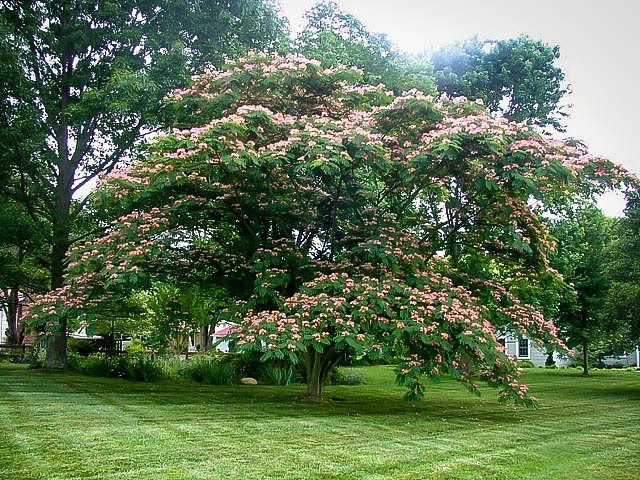 The Mimosa Tree is the perfect option for the homeowner searching for a unique ornamental tree. 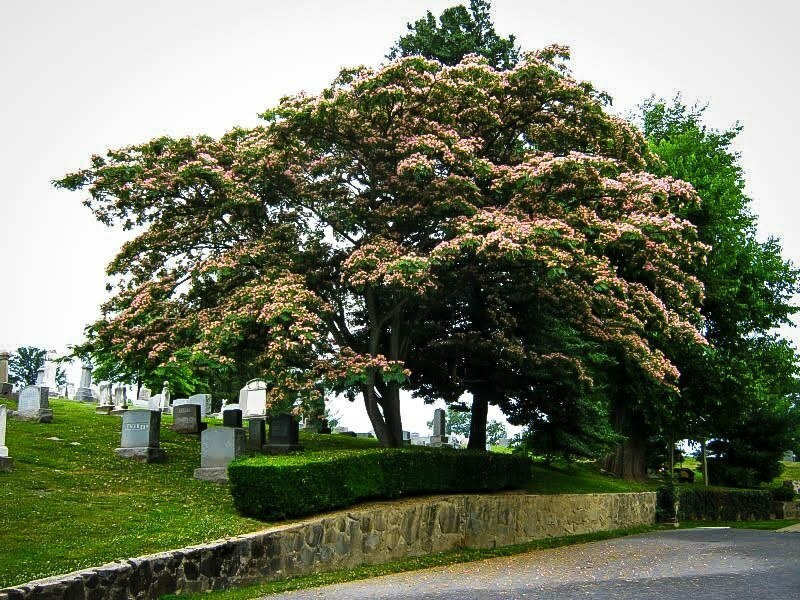 Many of your neighbors may have a flowering tree out front, but sometimes they all look the same! The Mimosa Tree changes up the neighborhood décor. 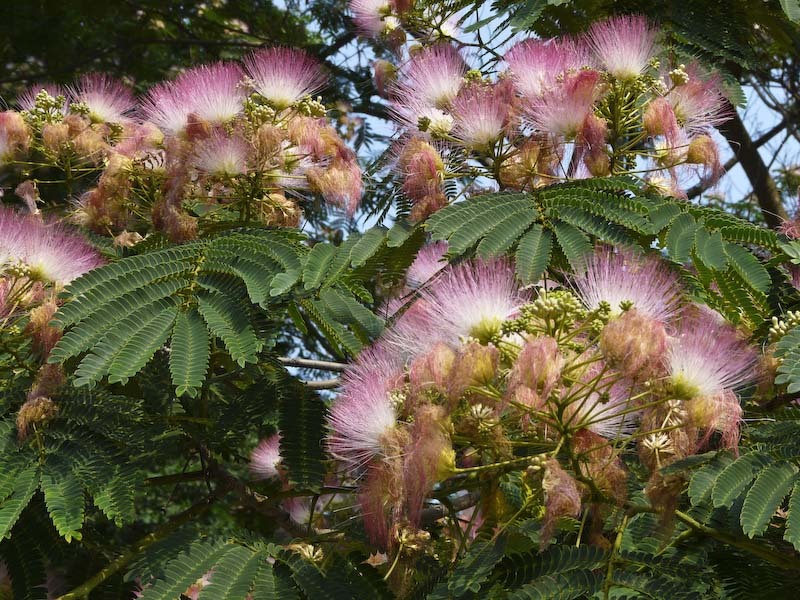 Fierce pink blossoms, reminiscent of silt threads, will bloom on your Mimosa in mid to late summer, offering eye-catching beauty and tropical ambience all in one. The flowers of the Mimosa Tree also attract the eye of the butterflies and hummingbirds, which is why many homeowners choose to plant one of these stunners by the back patio or kitchen window. Watch as your tree is graced with the presence of beauty! The fast-growing Mimosa Tree is also popular because it will quickly provide you the ornamental beauty for which you have been searching. Within 10 years, the Mimosa Tree may have already reached 30 feet in height! 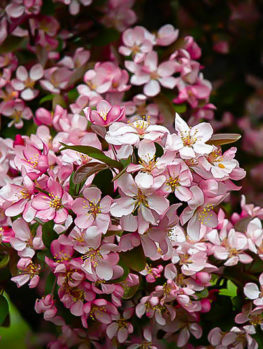 This fast-growing ornamental provides the benefits of an ornamental without a need for half the unnecessary patience. You can plant the Mimosa Tree in a variety of ways – imagine one specimen centrally set in the lawn, or slightly off-center from the front door. On the other hand, these trees can pair beautifully when placed opposite on sides of the door, sidewalk, or driveway. Drought-tolerance is also a great benefit to the Mimosa Tree, which can withstand mild to moderate droughts with ease. This is especially valuable to those landscapers living in drought-prone regions of the United States, such as the southwest. The Mimosa Tree is not bothered by heat or several days without rain. A light watering schedule, which aims to provide the tree with at least 1 inch of water a week, is all that is needed! The Mimosa Tree can grow to reach between 20 and 40 feet when mature, though many landscapers choose to prune the tree to a more manageable 20-25 feet. In terms of width, the fully mature Mimosa Tree generally reaches between 10 and 20 feet wide. Be forewarned! Not all Mimosa Trees are the same! Some nurseries will offer bare-rooted or branch cuttings in place of carefully grown, high quality Mimosa Trees. These so-called arborists are attempting to cut costs – and make you pay the difference! Don’t be caught by these nurseries, which replace your Mimosa Tree with a low-quality variety that will not display the same beauty and fast growth for which our Mimosa Tree is known. 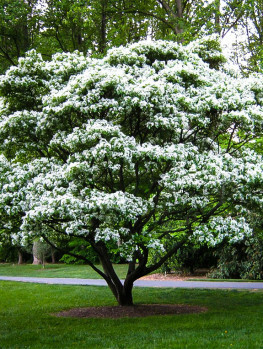 The Tree Center is your best bet when it comes to the best of the breed. High-quality Mimosa Trees are cared for by highly trained staff, whose one goal is to provide the needs of young saplings so they can, in turn, provide you with the beauty and love for which you’ve been searching. Visit The Tree Center today, and find out what quality means. After purchasing your sapling from The Tree Center, the next step in its proper care is planting. The first step is to find a proper planting location. Mimosa Trees prefer full sun, though some partial shade in the afternoon can also be beneficial. Once the location has been identified, you will need to dig a hole. The hole should be twice as wide as the Mimosa Tree’s root ball and 1 inch less deep than the height of the root ball. In this way, the roots will be able to spread out laterally. If the roots grow too deep, water and air will have a difficult time reaching the plant. Hold the tree vertically in the hole while backfilling with soil and water. If using mulch, apply a layer and then water. Mimosa Trees grow best in USDA Hardiness Zones 6-10, although it is not unheard of to grow a small, carefully pruned specimen in a container, removing it indoors during the winter. These adaptable small to medium-sized trees prefer moist, well-drained, acidic soil; however, the Mimosa Tree will adapt to a variety of soil conditions. Pruning and clean-up may be needed by the Mimosa Trees. The fast-growth of the Mimosa Tree does lead to weaker limbs, which may break more easily during a severe storm. 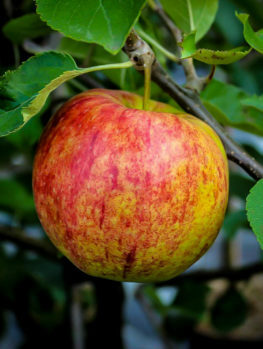 The tree’s stunning flowers, leaves, and fruit pods will also fall to the ground, requiring clean-up prior to mowing the lawn or heavy foot traffic. Finally, monitor the Mimosa Tree for signs of disease, as Mimosa Wilt and Mimosa Web Worm can affect the tree. Your Mimosa Tree is waiting for you at The Tree Center. But act fast – our supplies are limited and our stock is always changing, and the Mimosa Tree may not be here much longer as it is so popular. Visit The Tree Center today to determine if it is the right tree for you!